The methods and procedures I show here are what I do at the moment and feel safe doing, I am not suggesting that you should do things the same way, that is up to you, if you don’t feel safe doing it one way find another way of doing it. Above all take care and remember if this is your hobby it is supposed to be fun so enjoy it. 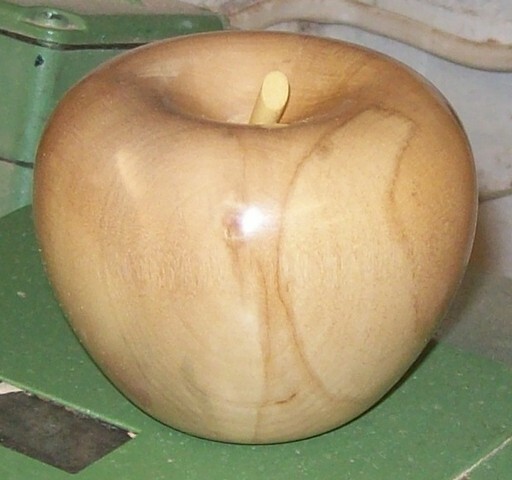 Now to do the extras first the stem, you can use a bit of twig but I prefer a turned stem. 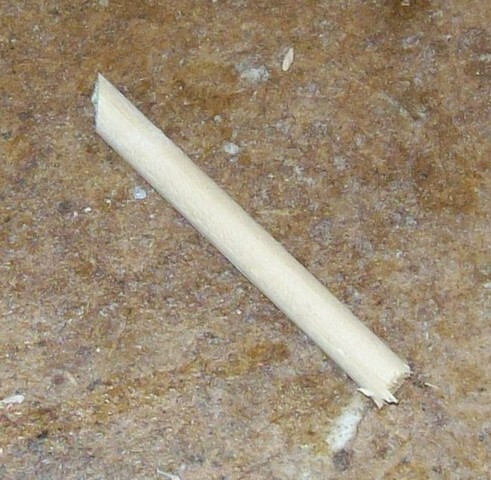 I use 6mm hardwood dowel but you can use any piece of wood you have lying around. 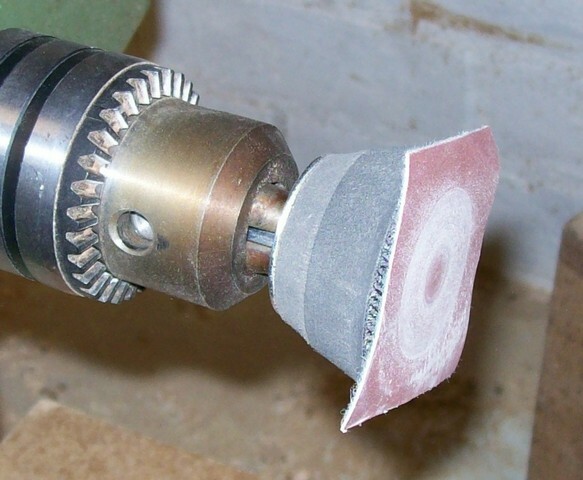 To start put a Jacobs chuck in the headstock with a sanding pad. Now sand the end of the stem to about 45 degrees this looks better than a plain end and looks a bit like it has been cut. 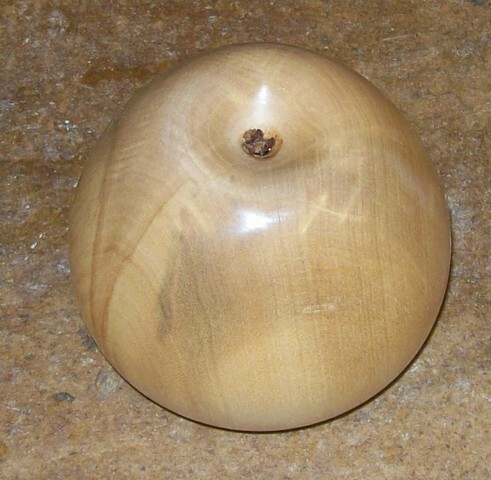 Now take the sanding pad out of the Jacobs chuck and put the stem in its place and turn to shape and sand. I find the best tool for this is a skew chisel. You can now choose to either polish it or stain it, I usually leave it the natural colour and just polish it. Now we glue the stem and clove in place, I start with the clove. 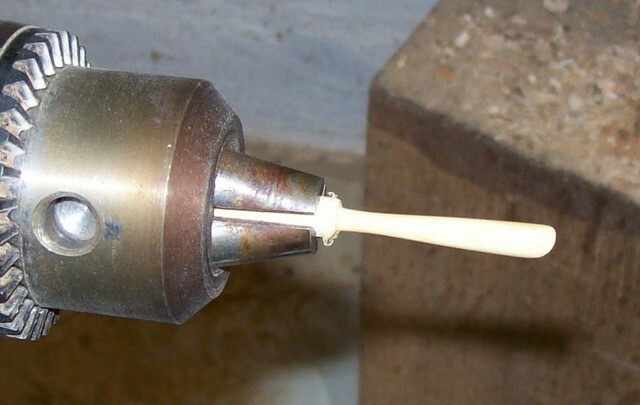 First drill a hole for the clove 4mm is a good size then put some super glue in the hole and around the rim then push the clove in squashing the berry part. 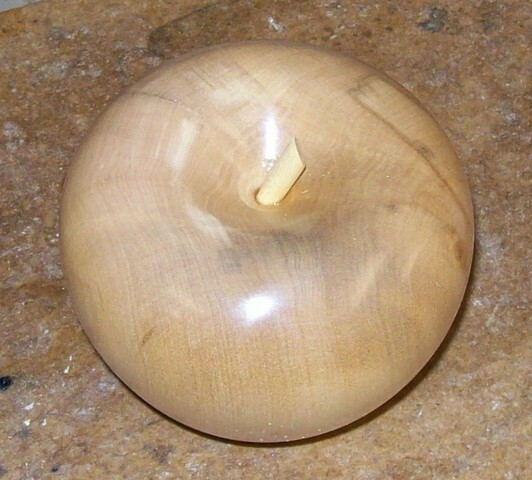 Now for the stem, you can use the hole that is already there and have the stem coming straight out from the apple but you can also drill a hole at an angle and have the stem slightly leaning. You now have your completed apple.